You must let me know what you think! ‘Ride the Wings of Morning’ is only just out today. The first hardbacks arrived in a van on Friday ~ very exciting. 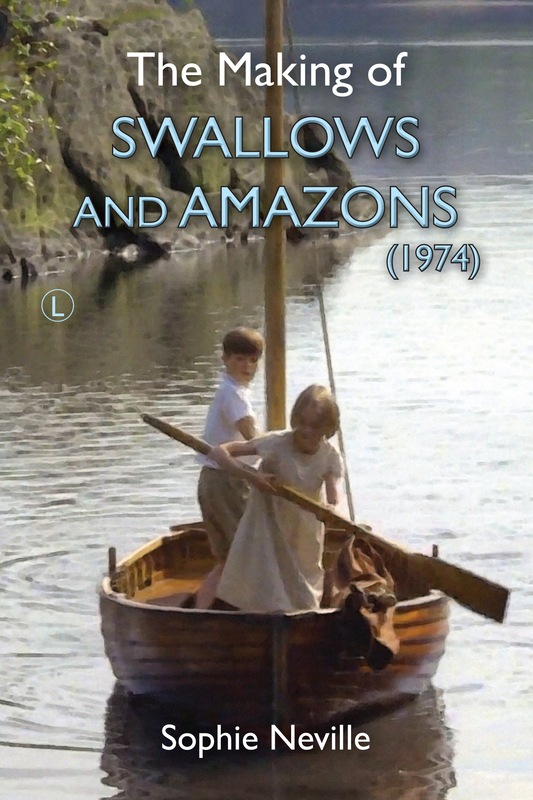 It is not about ‘Swallows and Amazons’ but it is about the life I went on to lead, which was very much inspired by Arthur Ransome and perhaps the ‘Far Distant Oxus’ books he promoted. That’s great – I hope you enjoy it. Have you ever been to Southern Africa? No, I’ve lived in West Africa and traveled in East Africa but have yet to make it to the South! This one is about my time working in S.Africa, Botswana and Namibia with vists into Swaziland, Zimbabwe and Mozambique, so it may fill the gap. Got Funnily Enough and thank you very much ! Ride the Wings of Morning is on Amazon.co.uk but only available to UK residents, and they won’t let me download it. It should be OK on Amazon.com – I have had sales and free downloads… About 300 show up on the sales report. A freind of mine e-mailed yesterday from Conneticut to say he has his (purchased) copy. It takes a while to download as there are illustrations – lots. I hope you enjoy Funnily Enough! I’ve checked, and see that ‘Ride the Wings of Monring’ is selling on Amazon.com Kindle in the US. It may take a while to download as there are quite a lot of illustrations. You may need a little more memory space. Funnily Enough reached Number 2 in the free UK Kindle Store Bestseller list with about 240 down-loads an hour, so am reverberating with excitement – and so grateful for all the support. Hi Dave, did you manage to download a copy of ‘Ride the Wings of Morning’ from Amazon.com? Please let me know if you had any problems as I have to contact them on another point. I hope you are enjoying ‘Funnily Enough’. You must let me know what you think. This blog site has lots of extremely useful info on it. Thank you for informing me.